Rebate Center » School Supplies Rebate! 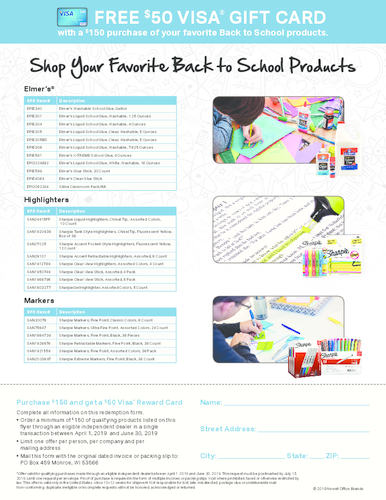 Purchase $150 of qualifying back to school products and get a free $50 Visa Gift Card! School glue stick is acid-free, photo-safe and non-toxic.